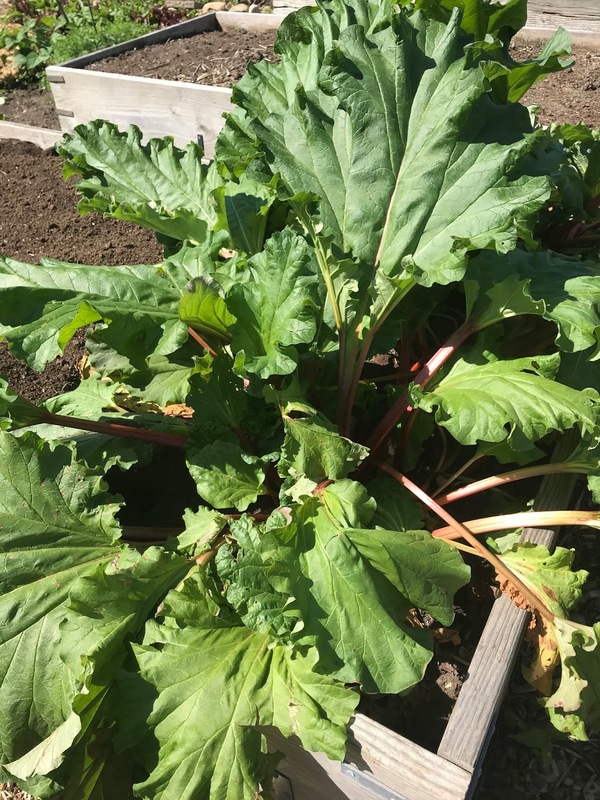 It's prime time for Rhubarb! 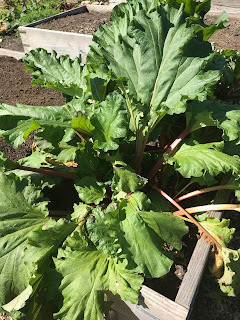 If you are like me you might have looked askance at "pie plant", or let the rosy stalks from your neighbor's garden wilt in the fridge while you put off cooking them. Its a delicious, easy-bake cake that everyone loves, and it is perfect for dessert, brunch, snacks or afternoon tea. After rhubarb season it's delicious with any fruit-- try peaches, blueberries, raspberries (fresh or frozen). I reduced the sugar a bit (to 3/4 cup) because I like the tangy rhubarb, but make it with a cup of sugar if you like it sweeter. Cream the soft butter and sugar in a stand mixer until fluffy and pale yellow. Beat in the egg and vanilla, scraping down the bowl as necessary. Toss 1 Tbsp of the flour with the rhubarb and toss well. Add half of the flour mixture to the bowl and blend in. Add the yogurt, and blend in. Finally add the rest of the flour and blend just until combined, don't over mix. Fold in the rhubarb. Note: the batter is on the thick side.